Cape Town - Maritzburg United head coach Fadlu Davids feels playmaker Yazid Atouba is the key to improve the club's poor run that has stretched to 11 games without a victory. After the 0-0 draw against fellow strugglers Bidvest Wits at the Harry Gwala Stadium last weekend, the Team of Choice extended their goalless run to nine games. 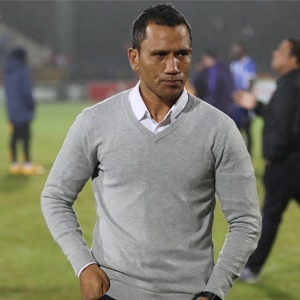 While both statistics are alarming for any professional football side, the promising young manager Davids believes a big hole was left in his starting XI with the departure of former captain Kurt Lentjies and the death of Mlondi Dlamini. Dlamini died last month at the age of 20 in a fatal car crash, while Lentjies joined domestic rivals Chippa United. "We lost a huge talent in Mlondi Dlamini. He was really our bright spark in times like this to be able to unlock teams and create something out of nothing," he told IOL. "We have to create better attacking structures to suit our players; we can't keep crying that Kurt Lentjies left and that we lost Mlondi Dlamini." However, with Atouba, the Team of Choice pulled off a major coup as the technically gifted Cameroon international joined from DRC giants AS Vita Club, and his coach feels once he is settled into the Premiership, the player will be a real threat. "Yazid gave a really positive performance (against Wits). It's difficult coming to a new country. You put a lot on his shoulders to fill the void Kurt Lentjies left but he's settling in and showing positive signs," Davids said of the former Chicago Fire man. "I'm happy he's growing from strength to strength and getting used to the intensity, physicality and pace of the league. "The Absa Premiership is surprisingly fast for these guys from North Africa but there are positive signs he's getting better."